Formerly known as Brooks & Gatehouse, B&G is an award-winning company with a product catalog featuring marine instruments and autopilots, navigation equipment, and more - everything from VHF and Radar to Sensors and HV Displays. Combining ambitious technical achievements with thorough testing and control, even top sailors like America's Cup Team and Volvo Ocean Race boats count on B&G to get them where they need to go safely. 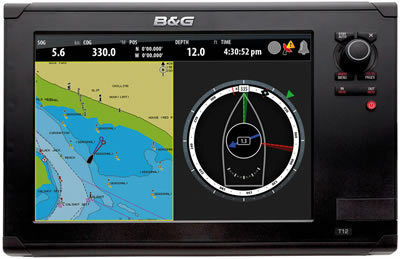 We carry a range of B&G's most popular equipment, well known for their innovative design and features as well as their quality and reliability - including the H5000 and Triton instruments and the Zeus and Vulcan lines of chartplotter navigation systems.